Both teams currently hold a 4-5 record in Group A and they both know that whoever wins this game automatically books a spot in the Top 16. This means we all have a must-win game to enjoy on Friday evening but Bayern know that there is a slight chance that they can qualify with a loss. This isn’t something they’ll be looking to rely on. The hosts are currently in fifth place, outside of the qualification spot but a win will see them extend their Euroleague campaign, so this will be all the focus that they need. 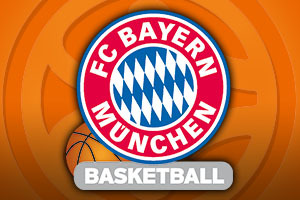 Belgrade won the earlier clash between these two sides, winning 79-90 in Munich, so they know what it takes to grab the win against Bayern. Vlado Stimac, Quincy Miller and Maik Zirbes were all on excellent form in that win, and if they can combine to that effect again, there is a good chance that the Belgrade fans will be celebrating a historic night on Friday. It’s a simple equation for Bayern, win one game and you advance, but it won’t be easy. If the German side are to progress, their wide players like K.C. Rivers, Bryce Taylor and Nihad Djedovic will need to step up. The Bayern coach, Svetislav Pesic was a coach at Zvezda in the past but he will be determined to do his best for his current club, even if it causes hardship for a team close to his heart. 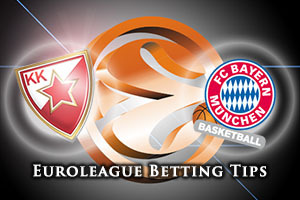 Bayern have performed well at times in the Euroleague this campaign but they need one more push or they will drop down in to the EuroCup after the turn of the year. The hosts are the favourites with the bookmakers but there is value to be found in taking FC Bayern Munich with a +3.5 handicap at odds of 1.90. It’s likely to be a tight game so look to go OVER 154.5 which is available at odds of 1.90 for the big clash in Belgrade on Friday night. Bet Now!